There is no place quite like Chile. This long and skinny sliver of a country snaking down the western side of South America unifies climates, terrains and landmarks which feel like they should be worlds apart. The snow-capped peaks overlooking the capital of Santiago are only a few hours from the beaches of Viña, whilst the scorched red desert of Atacama in the north and the unrivalled glacial scenery of the Patagonian south top and tail a country from which acres of luscious vineyards bloom. Its complex topography and sheer size (stretching over 2,670 miles from tip to top), does present its challenges when planning a route but, for any traveller willing to put in the miles, venturing to Chile unlocks a cornucopia of experiences which can't be rivalled elsewhere in the Americas. Here are our eleven favourites travel experiences and things to do in Chile. 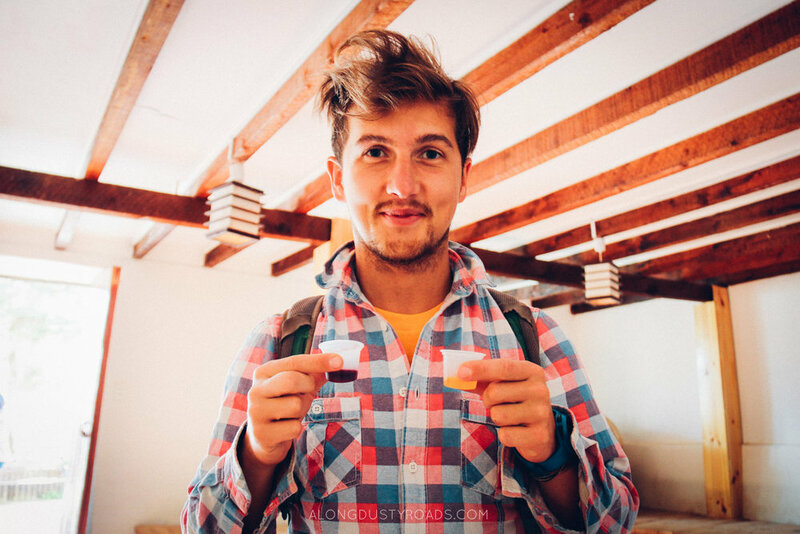 We did it on a budget by independently cycling and hiking around the cracked copper earth of driest place on earth, whilst others can spend a pretty penny on tours to visit gushing geysers, fabulous flamingos and saltwater lakes. Or you can rent a car and discover it in your own time. Whichever way you do the Atacama Desert, best accessed via the town of San Pedro de Atacama, you will lose yourself amongst the endless stretches of tarmac and perfect landscapes which your wanderlust was made to go out and discover. Valle Del Elqui is less visited than other parts of Chile, but it is responsible for two of Chile's most important exports: wine and pisco! Aside from the obligatory (multiple) visits to pretty vineyards and artisan pisco distilleries, this is a tranquil part of the country to explore at a slow pace, where locals welcome you with a smile across quaint villages and verdant countryside. It is, fundamentally, a city like many others and, although it has its pockets of interest (the boho Bellavista area is great for some food, drinks and fun and Santiago is blessed with a constant backdrop of snowcapped Andean peaks), your Chile experience deserves more time elsewhere. Santiago is however perfectly pleasant for a day or two, and does offer the 24-hour visitor an important insight into Chile's recent past - the death of Allende, the rise of Pinochet, the disappeared and the transition to democracy - in the excellent Museum of Memory and Human Rights. The best thing about going to Santiago? It means you're only a couple of hours from Valparaiso! 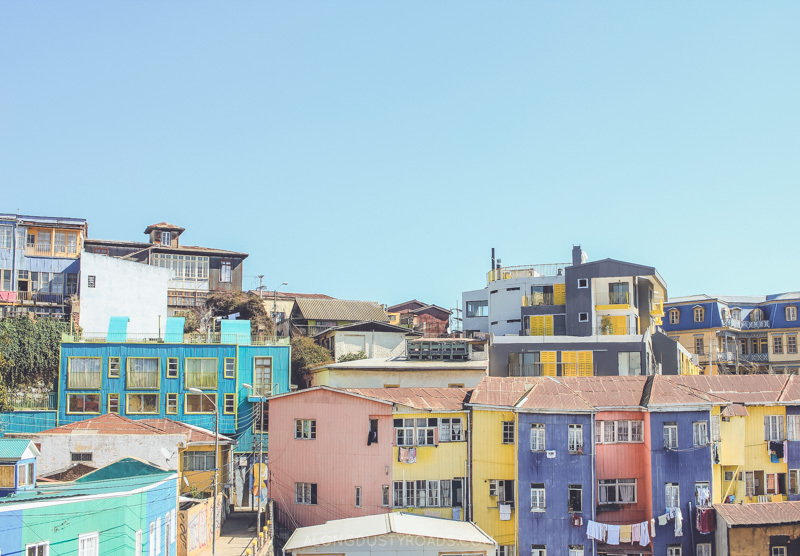 This colourful city, which sprawls up and around various cerros, got under our skin and we implore everyone heading to Chile to make sure that it's part of their Chile itinerary. Now, with such a fantastic array of outdoors adventure experiences to be had, you may question why you'd want to spend time in a city? 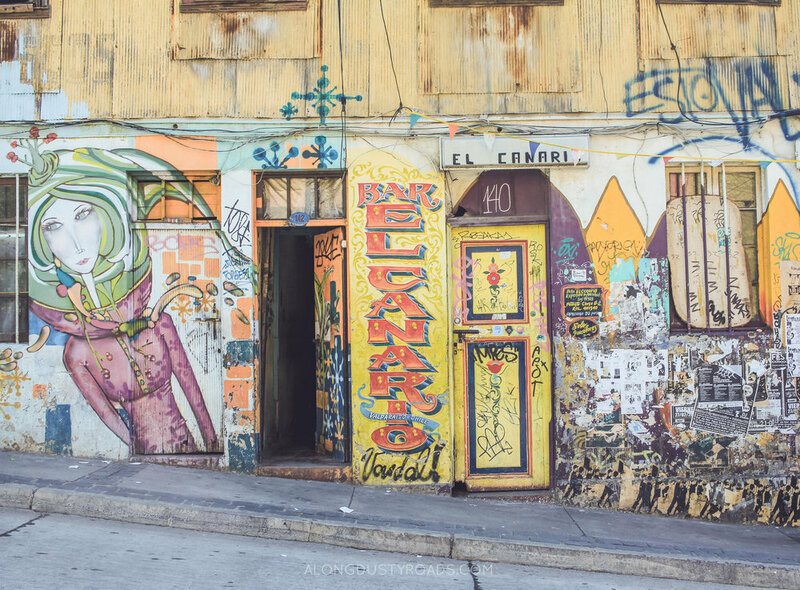 Well, not only is Valparaiso home to the best empanadas we tasted in all of South America and some of the region's best graffiti, it is a place made by and for street artists, sailors, dreamers and poets. 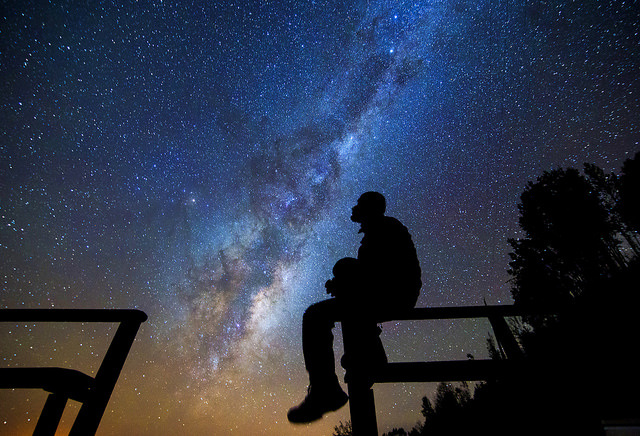 Chile is, without a doubt, one of the best locations in the world for observing the unfiltered and unadulterated night sky. The Atacama Desert is certainly the most popular place for astro-tourism, especially with tours of the new Alma Observatory now available. However, anybody may looking for a more intimate experience may wish to venture to Valle del Elqui, which offered up something equally spectacular. There, on a chilly evening with cups of warm wine, we sat in the garden of a sweet elderly couple who showed tourists the stars, and we gazed at the Milky Way which felt so close, we could almost reach out and touch it. We were well and truly starstruck. Any visitor to Chile, aiming to go south, is faced with a dilemma - how exactly do you get there with all those fjords in the middle of the country!? Our solution? To take an unforgettable three day boat journey through the Patagonian Fjords - the very definition of slow travel in South America. Leaving from Puerto Montt, the opportunity to get close to glaciers, visit tiny inhabited islands and look for dolphins & whales formed just part of the attraction. If you don't have the time to spare to take a boat from Puerto Montt to Patagonia, then read this post on how to get to Patagonia from Santiago. For a country with so much coastline (sorry Bolivia), Chile really isn't blessed with the sort of beaches one may expect of a South American country. It has some nice ones, but doesn't lay a finger on those we visited in Brazil or the coast of Ecuador. In fact, on the backpacker circuit, nobody really comes to Chile for its beaches. However, more and more are making their way here for its waves. In summer the northerly port cities of Arica and Iquique become surf havens, whilst the central town of Pichilemu hosts international competitions for the brave (and the crazy) who take on 4 metre high waves in the crashing waters of the South Pacific. When it comes to natural wonders, Chile really is spoiled. If it only had the Atacama Desert, it'd be doing well. But then it goes and brings out the big guns in the shape of Torres del Paine - a staggeringly beautiful national park in the Patagonian region. With glaciers and glacial lakes, wildlife and mountain backdrops which literally make your jaw drop, a visit to Torres del Paine is for many the only reason they're actually in Chile. Two multi-day treks - the 'W' and the 'O' - are world famous, but if you don't have 4+ days to spare, you can cheat and do what we did by seeing Torres del Paine in a day. if you're visiting this part of Chile, then you have to bring a copy of one of the best travel books ever written - 'In Patagonia'. Did you know that you can ski in Chile? And climb an active volcano? And white water raft on a lake? And that you can do all of this in a town which looks like it should be in Aspen or the Alps? Located in the heart of Chile's Lake District, Pucon is a gem for anyone who likes outdoor activities in summer and winter. Many are drawn by the opportunity to ski down Volcan Villarica, but there is so much more on offer in an area with national parks, walking trails, watersports and hot springs. Read Next: Do You Really Need Travel Insurance? There's a running joke in Chile, concerning it's national cocktail - the terremoto. A weird concoction of bad white wine, fernet, grenadine and a big ole dollop of pineapple ice-cream, it's said that anyone having more than three would hit the floor. After sampling a few on Chilean Independence day, we can certainly agree that seismic activity or not, these things can certainly make the ground feel a little unsteady! Definitely not something to be glugged, but you absolutely can't leave the country without trying one. However, when it comes to the flavours of Chile, it's the empanadas which will always stand out for us. Always baked, never fried, the classic Chilean empanada is the 'pino', which is a stuffing of beef, onions, raisins and black olives with a hard-boiled egg. Vegetarians rejoice however - there are usually some suitably tasty meat-free options. It's easy to forget that Rapa Nui, more commonly known as Easter Island, is actually Chilean (and it wasn't until 1888) given that it feels like such a standalone curiosity. 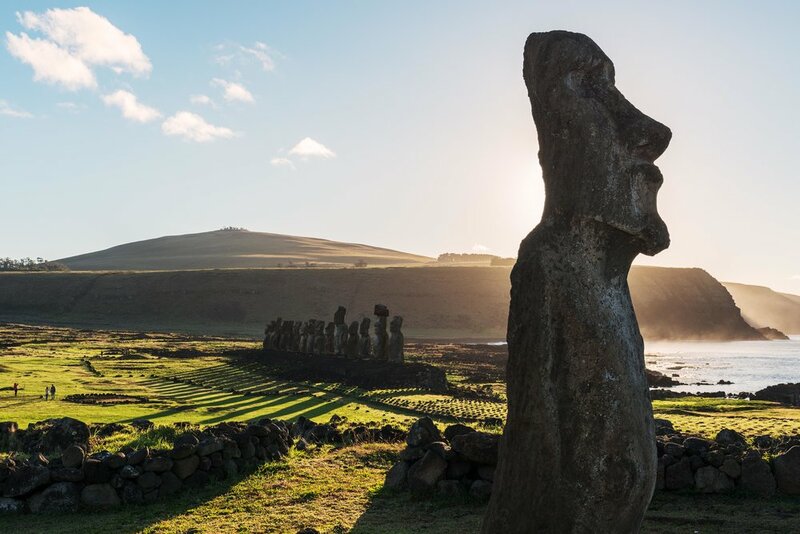 A dot of an island, thousands of miles from the mainland, Rapa Nui draws those curious to gaze at the 800 plus volcanic rock moai statues and to contemplate what they actually represent. To this day, nobody has a definitive answer to whether they were statues or gods, how they were moved or what importance they held...and it is the impenetrable nature of that mystery which makes it such a unique destination.